Why I don’t watch it: I’ve never been a big fan of sitcoms, preferring single camera comedies. Why I should reconsider: A lot of very funny people I know have nothing but great things to say about this show. Also, geek humor is right up my alley. Why I don’t watch it: I’ve never been a big fan of procedurals either. Why I should reconsider: I always catch the last couple of minutes because I record the show immediately following (House?) and I have to admit that, in the little snippets I’ve actually watched, the chemistry between the two leads is terrific. Why I don’t watch it: To be honest, I missed the premiere and seriously wondered how many “tells” they could unearth and analyze before tapping out. Why I should reconsider: My writing-producing partner, Paul, a notoriously tough critic was just talking about this show the other day, noting how clever it is. Why I don’t watch it: Love the premise but simply never got around to sitting down and watching on a regular basis. Why I should reconsider: I caught an episode earlier this year and thoroughly enjoyed it. Also, Simon Baker is terrific. Why I don’t watch it: Call me a wimp, but I find the whole serial killer angle grisly and disturbing. Why I should reconsider: Call me goulish, but I find the whole serial killer angle grisly and intriguing. Also, whenever she comes to town, my friend Rosemary who works at CBS always does a great job of teasing upcoming episodes. Hey, all you television aficianados. I assume you’re familiar with some if not all of the above-mentioned shows. Your toughts? Answer: Unlikely given that the seeder ship was planting gates on planets. It’s more likely that those addresses were locked out because of a security protocol deemed them dangerous or incapable of sustaining human life. Answer: Sorry, I have no idea when they’ll be making their appearance. Answer: Those are episodes titles for seasons 10 and 8 respectively. Alas, not my call on the onscreen titles. Sorry about that, chef! Answer: Oops. I misread the question. I thought you were asking for confirmation tat Dr. Lee was in Rush’s body while Rush was occupying his. No doubt Dr. Lee was checking out the immediate area Rush retreated to use the stones. Marjorie Liu writes: “Fantastic episode, and a wonderful start to a new series. I know I’m in love with a show when I find my mind wandering back to the characters, wondering/imagining what will happen next to them. Answer: Hey, Marjorie. Very much enjoy your work in the comic field and do intend to check out one of your books sometime soon. Yes, toilet paper and bullets will be cause for obvious concern as time goes on. Answer: I’ll just say stay tuned. That and good guess. Answer: It was meant to be manned but the Ancient never got around to actually boarding it. Answer: Why, yes. I’ll be at home watching Darkness of course. Answer: We don’t know the circumstances that led to his incarceration. He was certainly going to confront her, but to say he “almost attacked her” is a bit of a stretch. He did not steal any food. That was someone else (Sgt. Spencer). Answer: If I remember later in the week, I’ll track down a pic for ya. Answer: We should know by January at the latest. Answer: Both. I read the script and provided notes, then had those parts of my memory erased using the device we got from that planet in SG-1’s Collateral Damage. Cool, no? Answer: He misspoke or was speaking sort of off-hand, assuming he wasn’t going to be called on it by a knowledgeable fan. Answer: Just what first-time visitors to the production offices say about Exec. Producer Carl Binder. I rest my case. Answer: Good point. Quite a few (not all) of the problems some viewers have had with the show so far stem from the fact that their questions have not been immediately answered. Patience. Patience. Answer: Well, that and the fact that he IS one of the Stargate Program’s most trusted scientists. Answer: I read #1 and #2 and loved ‘em and have picked up #3 and #5. I want to get #4 before sitting down and finishing the arc. Answer: The Queen’s ability to influence lesser minds far surpassed those of other wraith. In the case of the second tier wraith (again the keepers), they all possess the ability to a certain extent – but their relative influence varies from individual to individual. I believe this ability is innate in all wraith and in the case of the warrior-drones, almost negligible. Answer: No, they are not factored into the overnights, same day +1’s or the +7’s. That said, they are factored into the show‘s “big picture” performance numbers that include iTune and DVD sales. Answer: Yep. Soon. Soon. Pay close attention to the Young-Greer corridor conversation near the end of Fire. Answer: Second Lieutenant Vanessa James. Answer: Yeah, in terms of how the individual cast members line up vis-à-vis their characters: Robert, Louis, Alaina, Elyse, Jamil, Lou, and Ming are most UNLIKE the characters they play while Eli and Brian have a lot in common with their onscreen personas. Previous Article October 10, 2009: Mom Gives Me the SGU Scoop! Mailbag! Carl and Greyhound = Separated At Birth? Marking calendar to watch for the hints, threads, smoke signals, annoucements, or however you will alert us! And, delighted to enjoy each week’s episode and keeping fingers and toes crossed! Brian’s birthday is tomorrow. If you see him, will you tell him Happy Birthday and give him a big hug for me? Okay Thanks! Thank you very much, Joe! And get reading your comics! Who knew – you’re a ratfink AND a slacker. I just caught The Big Bang Theory for the first time at Mr. Das’ insistence. It had a few funny moments, but I just have no desire to get into any more shows. I really like The Mentalist – but it changed nights and I really don’t have much space on my DVR to record it. Besides, I’d much rather watch it as it’s happening… otherwise I get distracted with life and forget about it. I can’t even begin to tell you how many shows I record, and then delete before I ever get around to watching them. As for the rest, some I haven’t even heard of!! I really am the wrong person to talk tv with. As I’ve said before, with the exception of a handful of shows, in the last 20 years I’ve mostly watched old movies, Brit mysteries, and the odd Brit comedy when I can find them – they’re much funnier than American comedies. Even those shows that I enjoyed – like Scrubs – I would often forget to watch. Huh. Maybe it’s just that I’m not disciplined enough – no routine – and so find it hard to commit to a specific time each week for a tv ‘date’. Or, I’m just totally bored with everything out there…which is most likely the case. I did watch a new Lewis tonight – that thoroughly entertained me, especially with another little hiccup in Lewis and Hathaway’s relationship. I think there’s only one or two eps left. I am really going to miss this one very much. so, joe, anymore shippy tidbits coming up for scott/james? Love, The Mentalist, it’s good. Big Bang Theory, a lot of my friends like it but I am more of a How I Met Your Mother kinda person. It is funny though. Bones is also good when you get into it, if you are flipping channels, forget it. I like Criminal Minds. I only watch it if I have time or if there is nothing else on but it is a good show. …and I’m afraid the results are not what you’d like. Not that a small group of American women have any clout with TV producers but I think you deserve to know how they reacted to the show anyway. They went in wanting to like it. They’d all loved SG1. They’d been pretty fond of SGA. They wanted to love Universe. They just didn’t. I did an informal poll of the why’s and here’s what I learned. 1. They didn’t find a character to “root” for. No clear-cut lead; no hero if you will. Lot’s of interesting people, but no one to get behind, to follow while the confusion of the opening episodes sorted itself out. I encouraged them all to hang in with the show for a while longer. That it takes time to establish a new world and new characters. To this they responded with mutterings of “John Sheppard” and “Daniel Jackson” or “General O’Neil”. I wish I had something positive to give you from them. I’m hoping that when we sit down for the next episode (for they have promised to watch with me again) that they’re all happier. Happier viewers will hopefully mean loyal ones, leading to more Stargate fun in the future. Which ep will reveal some info about FTL drive? Someday, I’m going to catch up on all those except Bones and Criminal Minds via DVD. Also, someday, I’ll watch more Psych and Burn Notice. Someday, I’ll get cable or properly hook up my antenna. is a hook cook book? I can only comment on Big Bang Theory and Bones. BBT: The geek humor sometimes seems like it would go over the general viewers heads, and sometimes it really does, but it’s done in such a clever way that it’s still funny. And the non-technical/geeky bits, such as Sheldon’s inabilities to grasp normal social behavior, probably makes me laugh the most. Leonard’s the most sympathetic character, because he *knows* how out of sync he is with “normal” people, but he’s still such a loveable cuddly character. If you ever get a chance, perhaps during hiatus, check out the first season dvds or catch an episode on tv. Bones: I’ve recently started watching this show, part the first because Stewie from Family Guy showed up in an episode, and I had to find out how and why, and part the second because I heard so many great things about it. The chemistry between Booth and Bones is great, and the secondary characters around them each have their own special quirks that make them interesting to watch. I’ve only been watching the last month or so, which include the new episodes, the few from last season that was left on Hulu, and the random ones on TNT. It’s drawn me into it so quickly that I’m currently trying to track down the first season episodes. 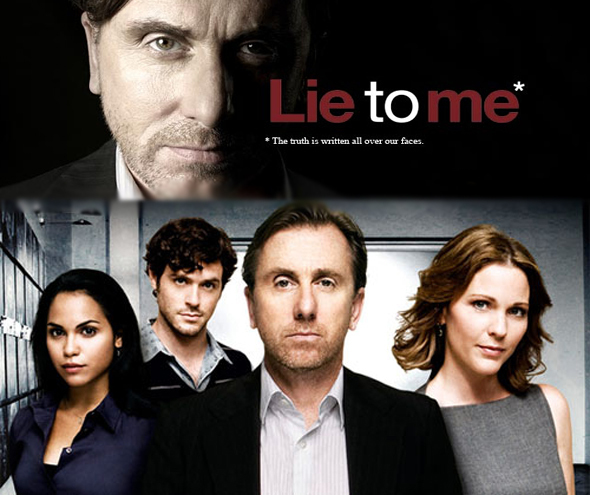 We saw one episode of Lie to Me, but it didn’t draw us in enough to watch it against other shows in its timeslot. Love Bones and Lie to me… Great shows, they make you think. I have a question… Is there a theme song or opening title sequence for Stargate Universe? I saw the quick “SGU” title, but nothing else. I loved how you could relate to a series through a piece of music, such as SG1 and Atlantis. You must check out The Big Bang Theory! It’s ah-mazing. Go buy the first two seasons and then DVR the rest!!! SGU is going wonderfully! We are dying to know what that little shuttle / tracker / weird-looking-puddle-jumper thing is! Speaking of that, will we ever see puddle jumpers in SGU? I miss them so much! RE: Greer. I love his reaction when the Destiny slips back to FTL that first time. “What the heeeellll was that?” Great delivery. RE: Big Bang Theory. I don’t watch much non sci-fi and/or non science stuff on TV, but you’re really missing the boat on Big Bang Theory. Some of the funniest writing around. Geek out! I love Bones. It’s such a guilty pleasure. The characters are great and the two leads do have good chemistry. I think sometimes TPTB make their relationship a little cheesy and really shove the tension in your face. But other than that I have absolutely no complaints about that show. You’re pretty tight-lipped on spoilers for SGU. Do you ever read spoilers for shows you like? There are some pretty juicy House ones I could share! Haha I think you meant “David” not “Eli”! They must really be very similar if you’re getting their names mixed up! Big Bang Theory is also on my list of shows that I don’t watch but would probably enjoy if I did. I’m a total nerd/geek (and I bet if I watched BBT, it would clarify the difference for me!) and all of my nerdy friends have recommended it to me. But I, too, have never been a fan of sitcoms. I’m going to try it out (I “test drive” shows) when Wil Wheaton guest stars this season. Joe (and all who’ve never seen it), you ought to add NCIS to your list. While it’s a spin-off of JAG, it feels like its own show, and the characters make it seem very non-procedural. The goth lab tech alone makes this show worth watching! Also something for everyone to check out: Shadow Unit. It’s an online TV show written out like short stories. Shadow Unit is a fictitious unit of the FBI that deals with people with paranormal abilities. 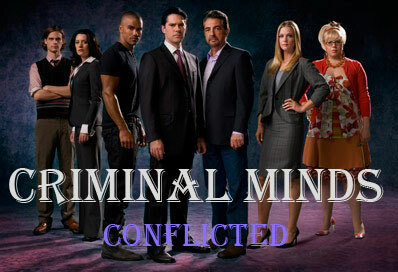 It’s the sister unit to the Behavioral Analysis Unit which is portrayed on Criminal Minds. And best of all: it’s FREE! Highly recommend it! Bones and the Mentalist are both excellent shows. I have watched Bones from the beginning and the show is carried by the two leads, the chemistry between them is definitely the best part of the show. I didn’t watch Mentalist from the beginning, started two-thirds of the way into last season and was instantly hooked. I caught up with the reruns except for one episode they didn’t show again, I still haven’t watched the DVD yet. Simon Baker carries that show and it has jumped way up in my must watch list. Someone asked what Dr. Lee was doing while he was in Rush’s body. Probably sleeping since that was what he was doing on Earth when Rush’s mind arrived. Exactly. Different things appeal to different people – doesn’t mean a show is bad if someone decides not to watch. For now – and to put it in Joe’s words – I am “cautiously optimistic” about SGU…and will continue to give it a go. So far, the pros outweigh the cons…but that can always change. And, of course, it would be much better with a long-locked pallid creature in it (human, or otherwise), but I’ll deal. It’s not fair to the actress. We all know the ridicule any overweight actress will get – her appearance, and not her acting abilities – will become the center of attention, and that will eventually lead to the inevitable ‘weight loss’ episode, which will just further reinforce the idea that fat women are not acceptable in our society. So though I wouldn’t mind a realistic-looking woman in SGU, I also don’t want to see another full-figured woman verbally attacked because her appearance doesn’t meet Hollywood’s ridiculous standard. I haven’t watched any of those shows. Stargate is the only show I make time for, everything else I watch on a very casual basis. Although I do love House and The Office. I think House is off to a fantastic start this season. “Lie To Me” is utter tripe. Laughably bad, and terminally predictable. “Bones” is quite good, on the other hand, mostly for the reason you intuited: the interplay between the leads (and the quirkiness of the supportings) is the reason for watching. I’ll add “Fringe” to the “recommend” list, because of the fascinating characters and intriguing, on-going plot. Sorry I tried both Bones and Lie to Me and couldn’t stand either of them, Bones because the “science” they used to “solve” their mysteries had utterly nothing to do with anything that could possibly, maybe, theoretically, push-through-a-garbage-disposal-serve do with reality/science. I’m certainly willing to give a show a break, but Bones abuses it to the max. Lie to Me I just find the main character a bit over the top, and just gets a bit predictable (and needs to step off his high horse every once in awhile…) I still watch it every once in awhile when I have some time to kill on hulu though, unlike Bones. Buwaah? What does that stuff mean? Hi! I’m new here! So hello all. I’ve been watching closely and still miss stuff on SGU. I have it DVR’d so I can watch it repeatedly. It is AWESOME! The people leaving comments can just wait for the story to develop. There is just ONE thing that I just can’t get outta my head. When people body swap, if I blink, I don’t know who is who or not who. Could there be some kind of visual shadow/ghosting effect or something so the viewer knows but not the characters? Or maybe a flash/fade of the two off and on…dunno. Have you or your peeps work it out..I’m sure they can do a better job than me. Or I could be way outta line. I agree about the ladies makeup. Chloe’s mascara woulda been streaked all over and she couldn’t reapply. What’s a girl to do! Definitely requires a ‘suspension of disbelief.’ au naturale would be better. Their hair though would be fine. I have seen a woman who has hair like Tamara’s and hers looked perfectly coiffed ALL THE TIME. Even after PT. I hated her. Oh, I HATE ‘Lie to Me’ cuz I’m hearing impaired and I already pick up on facial cues. Roth’s character drives me nuts jumping to conclusions. Senator’s watch was and someone wanted to know about the sunglasses on the 3rd hour. Where do we get this info without bugging you? @J, I agree about realism, but I meant I really didn’t notice the size of the women. The ship was pretty dark, and a lot was going on. As for the complaints about who was getting more screen time, the story was moving, and I really didn’t think about it. I just think people need to lighten up and give things some time. Regarding “The Big Bang Theory”, having a son known as GeekBoy pretty much settles the question of whether we’d watch that. We particularly enjoyed watching Sheldon try to learn to drive, since that happened while we were attempting to teach GeekBoy the same thing. One thing I can vouch for: the plots are pretty realistic!